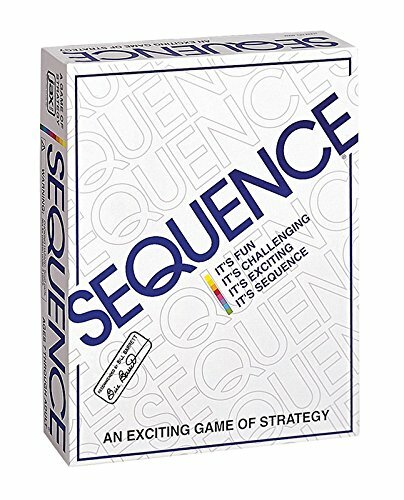 Details: It’s fun, it’s challenging, it’s exciting, it’s Sequence! 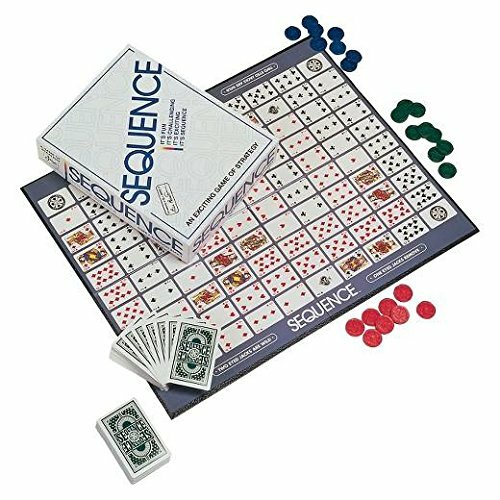 Play a card from your hand, and place a chip on a corresponding space on the game board. When you have five in a row, it’s a Sequence. Learn to block your opponents or remove their chips, and watch out for the Jacks – they’re wild! With a little strategy and luck, you’ll be a winner. 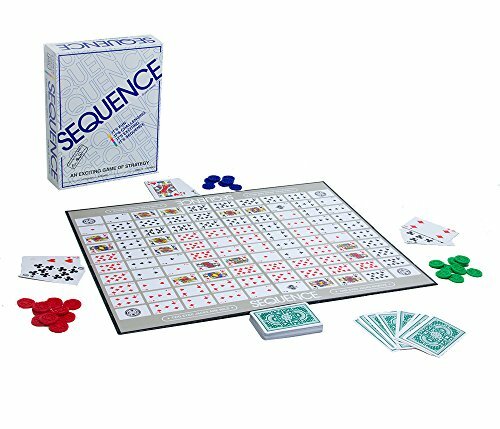 Contents: Folding Game Board, 2 Decks of Sequence Cards, 135 Playing Chips and Instructions. For 2-12 players, ages 7 and up.